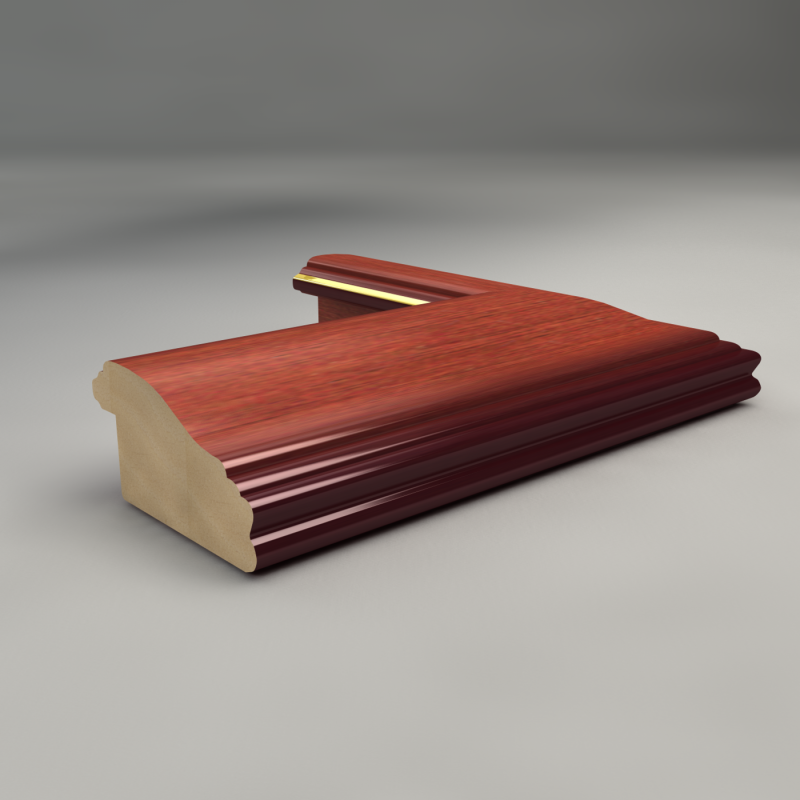 A satin finish rosewood timber frame with one gold trim line on the inside edge adjacent to the non reflective glass. 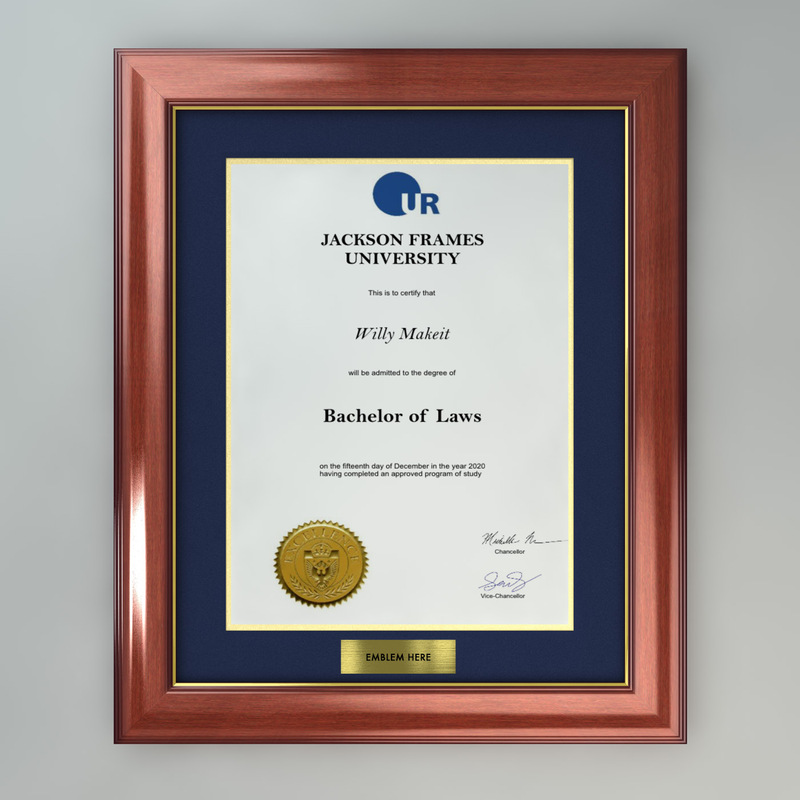 Made to your university degree or your photo dimensions with mat board options. This is a very popular frame. It is necessary for us to know the University if you choose the Emblem option. 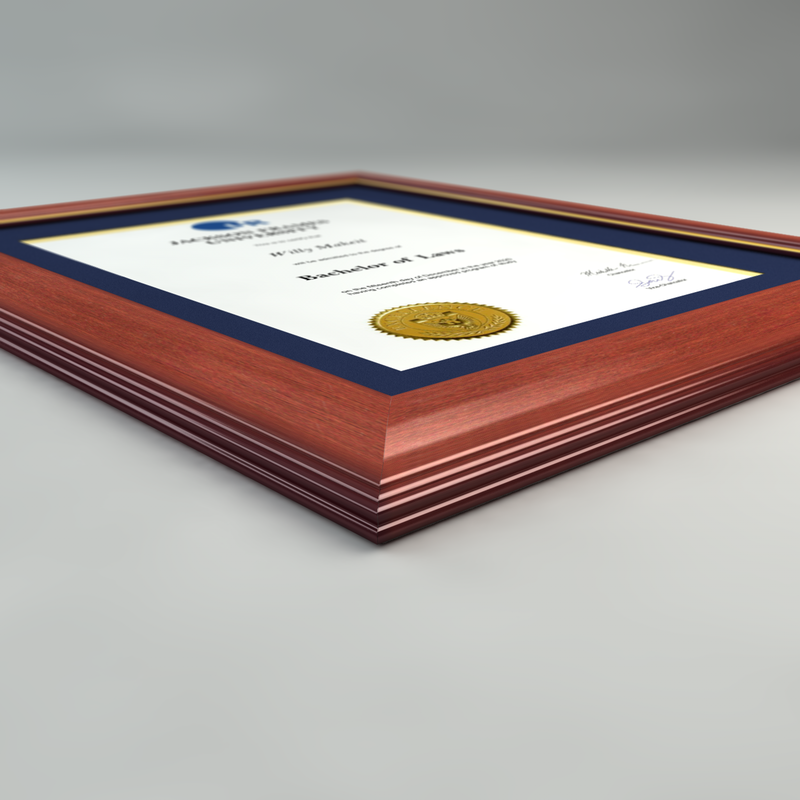 The Single Mat is the coloured piece of mounting board running around the certificate. 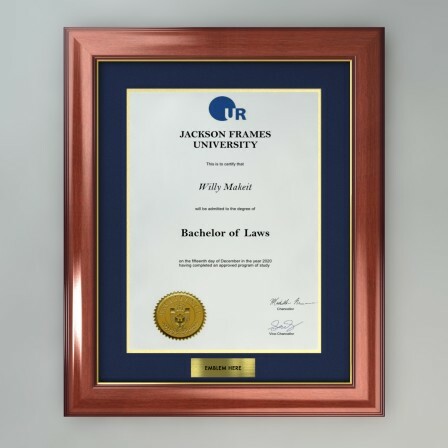 Your University emblem or logo reproduced in plaque form and featured in the Mat design.